Many social innovators of today work locally, but are connected with other innovators around the globe through networks. TRANSIT explored these linkages by researching transnational networks of social innovation in Europe and Latin America as embedded case studies both qualitatively and quantitatively. · and 2-4 other social innovation initiatives related to the network, to understand their critical turning points, meaning the breakthroughs, setbacks and surprises in their emergence and development. In case you cannot find the report you were expecting, please contact the institution responsible for the case study work (see respective networks on this page). Are you looking for even more publications on these networks? We have stored all of the above and even more publications that are related to the networks studied in TRANSIT in the resource hub. We have provided various reports for each network. 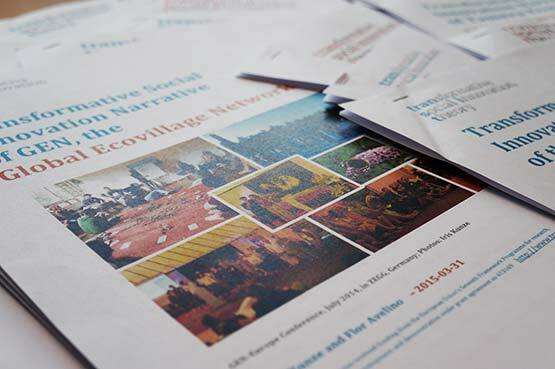 The full case report are in-depth reports with distinctive sections for the transnational networking as well as for each of the local manifestations of each transnational network of social innovation under study. The TSI-narratives provide a very short summary of these full case reports. The TSI-Narratives are available via the respective TRANSIT network pages. Please note, that each TSI-narrative presents – in a highly reduced and generalised format – the interpretations of the researchers, and does not necessarily reflect the views and nuances of the initiatives and respondents themselves. For a full account of each transnational network and local case, including interview quotes and expressed nuances by respondents, we refer to the full case report.